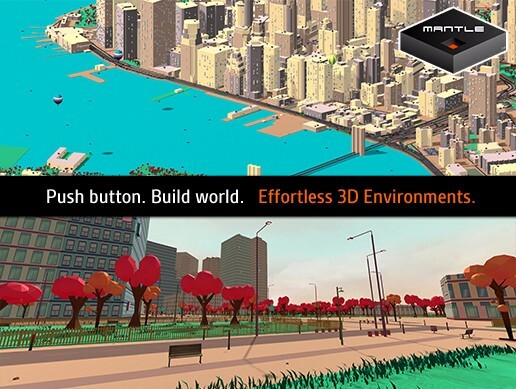 • 2 premium Mantle Themes including all configuration, models and materials - including vehicles! 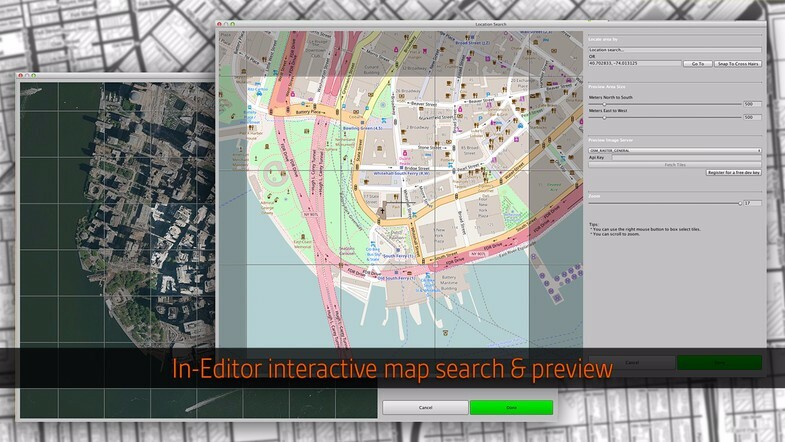 • In-editor worldwide search-and-select draggable map - preview and detail select areas to build. • Image tiles! 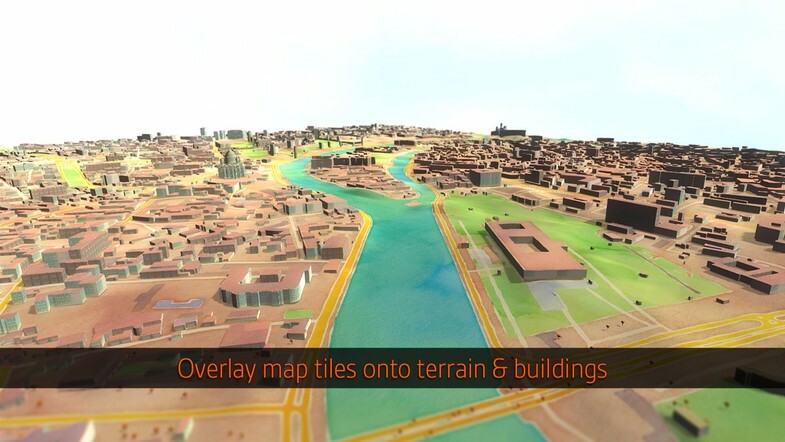 Now you can project map tile image data selectively over landscape and building roofs. Support for Mapbox Satellite, OSM informational and three Stamen image tile sets. 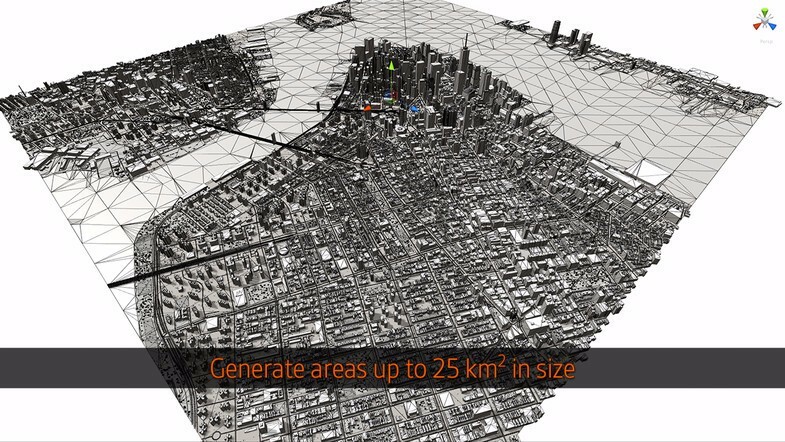 With this premium version of Mantle, 3D render up to 25 square kms of mapping data at design time directly into a Unity scene for further manual modification. A typical scene is fully rendered at lightning fast speeds: within a matter of seconds to a few minutes dependent on scene complexity. Can I use Mantle to generate scenes live in a published build? Very nearly! We demoed Mantle Live recently and will have more details on how to access the beta on mantle.techshortly. To generate an environment, simply paste a latitude and longitude from google maps, input an area size into the Mantle inspector, pick the Theme you wish you apply and hit go. 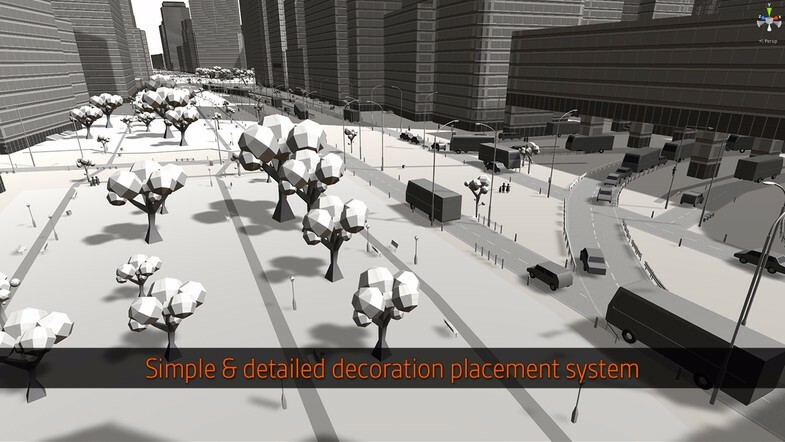 Mantle downloads 2D map data for your chosen area and renders it in 3D in your chosen Theme. Mantle initially requires an internet connection to download and cache map data.